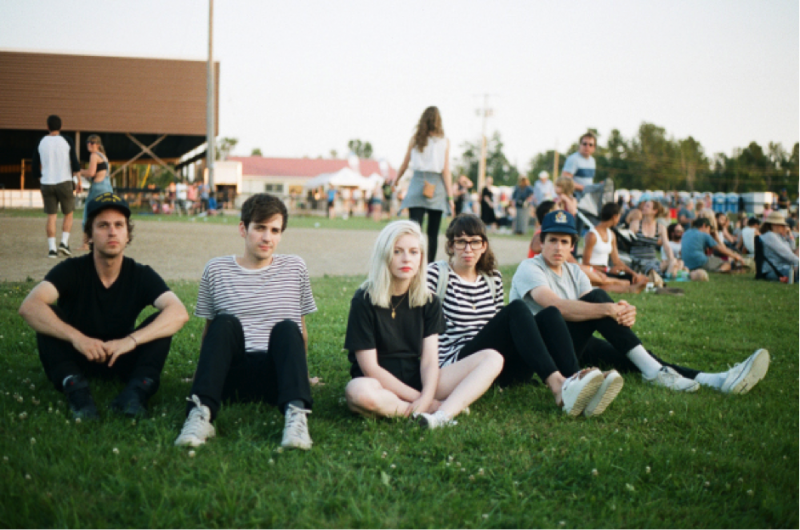 Transgressive | Alvvays Tour starts this week! Canada’s Alvvays return this week for their final UK tour of 2015, starting with dates at Reading and Leeds Festival and finishing with their biggest ever headline show at London’s O2 Shepherds Bush Empire – a venue which they opened as the support act less than a year ago. The tour takes in 13 shows and also includes dates at Ireland’s Electric Picnic Festival and End of the Road Festival. The indie-pop band have enjoyed massive success off the back of their acclaimed self-titled album, released last year via Transgressive Records. Having toured the globe for over a year, Alvvays have quickly moved up to bigger and bigger venues and this year played their first Glastonbury Festival on the John Peel stage. The album, which includes the singles ‘Archie, Marry Me’, ‘Next of Kin’ and ‘Party Police’ has also been noimated for Canada’s Polaris Prize, alongside acts including Drake, Caribou and Tobias Jesso Jr.
Tickets for all shows are available now. Support for the headline shows comes from Louisville garage-rock band White Reaper. The Babies/former Woods member Kevin Morby will also play at the Shepherds Bush Empire show. Tickets for all shows are available now.